Is your child client becoming increasingly reluctant to going to school? 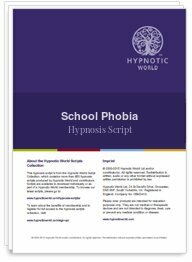 If they are suddenly developing all sorts of reasons not to go, or even refusing to attend school, then it could be that they have developed a phobia of school. If this is even a remote possibility then the child's parent or caregiver should discretely have a word with one of the child's friends and then tackle the issue as sensitively as possible. Unfortunately the more a child refuses to go to school, the more difficult it will be for them to ultimately return as their fear is reinforced each time they avoid the situation.